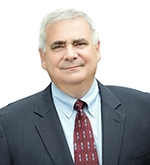 Paul M. Bisaro has served as a member of the Zoetis Board of Directors since May 2015. Mr. Bisaro currently serves as the Executive Chairman of Amneal Pharmaceuticals Inc., a specialty pharmaceutical company that was formed by the merger of Amneal Pharmaceuticals LLC and Impax Laboratories Inc., where Mr. Bisaro formerly served as President and Chief Executive Officer from March 2017 to May 2018. He was the Executive Chairman of the board of directors of Allergan plc (formerly Actavis plc) from July 2014 to October 2016. Until June 2014, Mr. Bisaro served as Board Chairman, President and Chief Executive Officer of Actavis (formerly Watson Pharmaceuticals). He was appointed President, Chief Executive Officer and a member of the board of Watson Pharmaceuticals in September 2007; and later appointed Chairman of the board of Watson Pharmaceuticals in October 2013. Prior to joining Watson, Mr. Bisaro was President, Chief Operating Officer and a member of the board of Barr Pharmaceuticals, Inc., a global specialty pharmaceutical company, from 1999 to 2007. Between 1992 and 1999, he served as General Counsel of Barr, and from 1997 to 1999, he served in various additional capacities including Senior Vice President – Strategic Business Development. Prior to joining Barr, Mr. Bisaro was associated with the law firm Winston & Strawn and a predecessor firm, Bishop, Cook, Purcell and Reynolds from 1989 to 1992. Mr. Bisaro currently serves on the Board of Visitors of The Catholic University of America’s Columbus School of Law. He previously served on the board of directors of Allergan plc. Mr. Bisaro holds an undergraduate degree in General Studies from the University of Michigan and a Juris Doctor from The Catholic University of America in Washington, D.C.